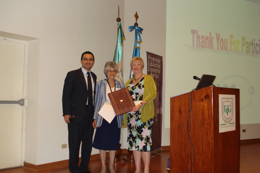 We started this exciting programme in 2009 in honour of Prof Ecaterina Merica, a Romanian member scientist dedicated to bringing cosmetic science education to her country, who passed away in 2008. Her message was that the ability of a scientist should not be based on their country of origin, regardless of the abundant opportunities or otherwise available to them. Developed for economically challenged societies, we have two full-day courses taught by two workshop teachers, these workshops typically hold 50-70 participants. The speakers teach workshops back to back in two countries within the same zone. We have over 20 well renowned scientists as volunteer teachers for this important programme. For the inaugural year of 2009 the programme was launched in all 3 zones to rave reviews. 2009 – Romania and Bulgaria was held from 1-5 June. The workshops were conducted by Dr. Johann Wiechers on Skin Delivery Systems and Dr. Luigi Rigano on Emulsions: Formulation and Development. 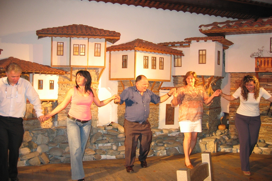 Bulgaria found numerous benefits. Participation in the workshops was double the membership numbers. Their membership almost doubled and had the effect of revitalising the society. The strong scientific content was well appreciated and there are now requests to have more scientific information and interaction on a continual basis. 2009 – Philippines and Indonesia was held from 28 September – 1 October. The workshops were once again conducted by Dr Johann Wiechers on Skin Delivery Systems and Dr Luigi Rigano on Emulsions: Formulation and Development. Similar benefits were found in the Philippines. 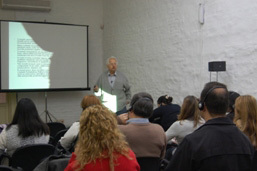 There was a 60% increase in attendance for the workshops. New members joined and long lost members were returned to the fold. The workshops encouraged a strong cooperative exchange of scientific information among forum participants. The programme ended with foreign experts receiving a taste of Filipino hospitality through a ‘barrio fiesta’. This programme provides the chance for our cosmetic scientists to meet specialist speakers with extensive experience. This programme helps in our cosmetic education. The speakers shared their valuable experience and stimulated useful discussion. Many of our cosmetic scientists never attend IFSCC conferences so from this programme they were able to recognise the organisation. 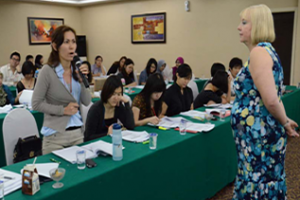 This programme enhances contact between cosmetic scientists in Thailand and the IFSCC. “It is a great presentation”. 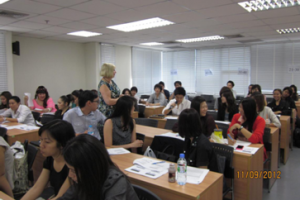 “A valuable course that I could adapt to use in my business”. “More quantity and quality of information”. “Good topics with new information”. Participants are given a chance to understand the practice of international cosmetic chemists/scientists. 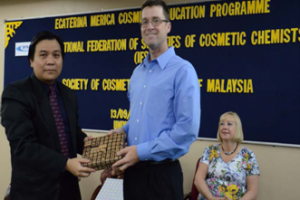 Participants are able to exchange cosmetic science knowledge with the speakers. This programme helps to promote our society. Applications from non-members wanting to join were received. We received feedback from participants who would like to have more specific topics from specialists and they are willing to cover the costs. More information should be provided prior to the workshops so that we can determine the speaker’s needs and the category of participants/members best suited to take part in the workshop as different topics may suit different people. Ecuador and Central America – Guatemala was held from 9-13 February. The workshops were conducted by Dr. Luigi Rigano on Emulsions: Formulation and Development and Judi Beerling on How to Formulate with Naturals. Ecuador SECQC and Central America both enrolled new members. Workshops were found to be interactive with a high scientific content fulfilling the Societies’ principle objective of providing knowledge for both students and professionals. For 2010 and beyond the programme was modified to be according to need rather than offer offered in every zone each year. Croatia held their workshops from 17-18 May. 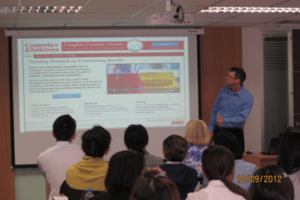 David Steinberg conducted both workshops with Day 1 on Cosmetic and Drug Regulations EU OTC and Day 2 on Sunscreens. Peru and Uruguay was held from 16-20 August. The workshops were conducted by Dr. Luigi Rigano on Make-up products, formulation and development, Scaling up, and Cosmetics for Desequilibrium Skin while Dr. Tharwat Tadros covered Cosmetic Formulations, Colloid Aspects and Nano Dispersion for cosmetics and personal care applications. In October 2013 the programme visited Russia and revisited Romania with Prof Randall Wickett from the University of Cincinnati as the expert focusing on Skin Biology and Advanced Skin Science. Randall Wickett is one of the world’s top lecturers in cosmetic science as well as being highly skilled in the evaluation of skin care products, skin and hair biochemistry and biophysics. The programme in Russia was organised in association with Russia’s National Society of Cosmetic Chemists (NSCC) with support from the Perfumery and Cosmetics Association of Russia (PCAR). The course, attended by 31 leading technologists and formulators working in Russian cosmetic and perfumery companies as well as testing laboratory experts, was a great success. The programme was challenging, providing a huge amount of information, and the audience listened intently and asked questions enthusiastically. All attendees were truly grateful to the IFSCC for organising the Ecaterina Programme in Russia. It is considered to be of great importance by all industry specialists and a valuable resource for anyone involved in the development, marketing and evaluation of cosmetic products, particularly those wanting to provide their clients with advanced products. The Ecaterina Programme began in Romania in 2009 so this was the second time it had been welcomed by the Romanian Society of Cosmetic Chemists (RSCC). 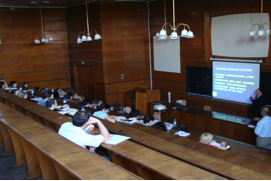 On this occasion the venue was the Technical University of Iasi. Of the 46 participating RSCC members, 14 had joined especially for this occasion. Most were from cosmetic companies but one pharmaceutical company and several universities were also represented. The interactive character of Prof Wickett’s lectures, his entertaining verve, as well as the fact that the participants had already received the entire programme and the courrse content, made for a successful, useful and pleasant scientific event. It was a good opportunity for specialists to meet and exchange ideas, strengthening connections within the RSCC. The first day ended with a two-hour debate on the latest European and worldwide legislation regarding product claims and this fruitful discussion and relationship building continued into the dinner that followed. Particular thanks from the RSCC also go the Faculty of Chemical Engineering and Environmental Protection, Technical University ‘Gheorghe Asachi’ for providing full facilities and promoting the programme on the Faculty and University website. The event was also mentioned in the local press and national TV station TVR broadcast a short item from the course opening including interviews with Prof Wickett and RSCC President, Prof Maria Lungu.